Move freely in the sleek and stretchy Aubrion Sierra Sports Bra! 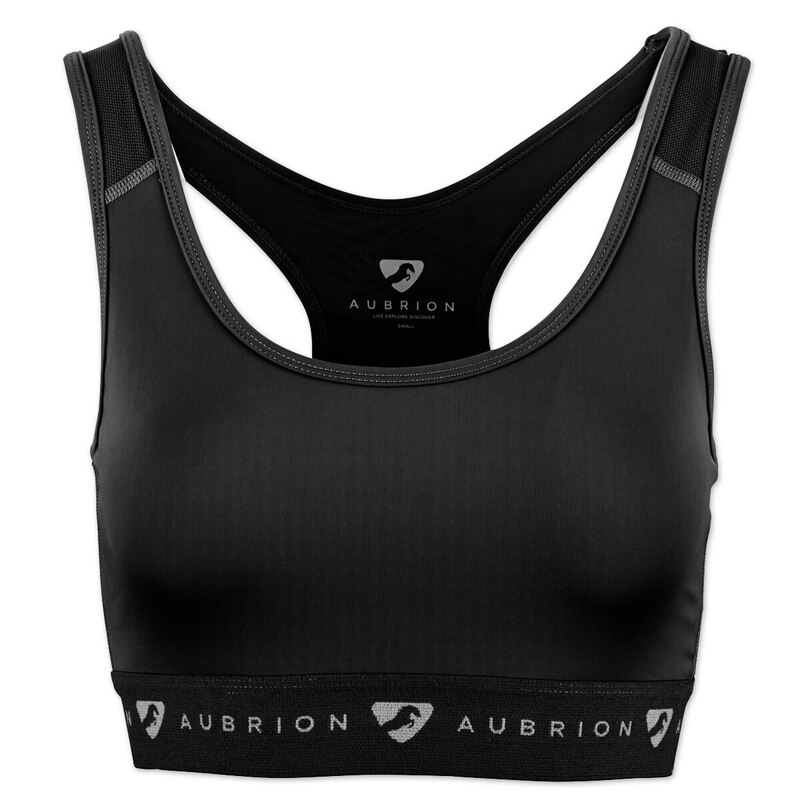 This bra is a medium support bra with mesh panels for breathability as well as a racer back and wide elastic waistband for extra support. Racer back and wide elastic waistband for extra support.